For the past couple of years I’ve been driving a 2006 VE Calais around (after my 2003 TS CDX had an electric spazz out) and with my new job requiring a lot of km/week of driving in a range of conditions, the fuel economy is very poor with the heavy V6 sedan. And as such, I’m considering coming back to Opel but this time in a brand new one. I’m looking at ordering a new (MY18.5?) Astra RS-V with the innovations package (sunroof, adaptive cruise, intellilux headlamps) while trading in the Calais. Are there many BK/K/MK7 owners on here to tell a bit about their experience? This new car would be a rather decent comittment but it offers superior economy, comfort and performance and is better than my old TS to own, I’ll be very keen to sign the contract. What are people’s thoughts on it in Aus? At first I didn't see that many around but now I see more and more. Am beginning to like the new shape but still feel that my 2013 J model has far superior features over the new K one. With Holden putting lots of specials on at the moment, it certainly would be a good buy and they are very keen to sell so you'll might be able to negotiate some extra's. Other than that, I have no personal experience with the K.
I’ve got a BK – picked up an RS-V with Touring Pack ex-demo (it only had 120kms on it) for a good price & have had it for 6 months as of yesterday – I’m very happy with it! I was originally searching for an Innovations Pack but only wanted white & only wanted manual, there was none in the country & had to order one, I didn’t want to wait. It’s my 3rd Astra (previously 2002 TS Astra & 2012 Astra J), I was going to try something else brand wise however for my needs & budget nothing in the market compared & the fact I wanted manual ruled out many cars in the top specs (they’re all auto now). Economy - I’ve traveled 4,000kms (not much yet I know, been away alot) but my total average for 4,000kms is smack on 7L/100km. My last trip on the freeway was seeing in the 5’s. Comfort – I wanted a new car with as much tech & comfort as possible for my budget. The car is QUIET, people ramble on about the Bridgestone tyres being noisy, really they aren’t bad, its just that the cabin is so quiet. Suspension is a good, steering great (esp with sport mode on it’s more weighty / meaty) the engine is punchy, you never have to work the car or your driving style to get upto speed or negotiate traffic, driving comfort is great in that sense. Interior comfort / experience is a step up, the heated seats & steering wheel have been unreal this winter, all the toogles & switches feel quality, the steering wheel has a nice finish to it & good to hold. The dual colour screens have loads of information, customization & are really easy to use & set up. Most cars that have the keyless door unlocking these days only have it for the front doors, the Astra from the RS up has it for the rear doors also, something easily overlooked but I throw my gym back in the back seat every day & unlock the rear drivers side door each time, it’s just a nice feature rather than unlocking from the drivers door & then having to open the rear door. I love how the car locks itself automatically when you walk away (not sure any other car in this class does it). The Bluetooth phone system is very clear. Apple car play works really well, very quick & never plays up. I don’t use the autoparking feature other than to test it works but it also does perpendicular, most only do parallel. Being one step down from the Innovations (I would of loved the LED Matrix headlights but have retrofitted some Xenon’s) you can’t not buy a car without Adaptive Cruise these days – it works very well in the Astra, I use it all the time & have driven a few cars with it, it’s one of the smoothest & easiest to use. Some other things I like that you wouldn’t notice / pick up on a test drive – interior lighting (dash, steering wheel switches, centre screen dash, LED ambient lighting etc), it’s all WHITE – it looks premium. Drive with the windows down & hear the turbo whistle, it’s a great sound. The roof line is clean / one sheet of metal (no black black plastic strip for the rook racks on each side etc), it’s easier to clean (no junk gets in the tracks) & looks premium. 2 mates have BK’s, one a manual RS-V with Innovations (they where the first in Aus to take delivery), they have 15,000kms & love it. Another has a RS-V (no option packs) in Auto (not sure on Kms) I’ve driven it & the auto is good! Almost dual clutch feeling, gear shifts are fast, smooth & a lot better than I expected. I did a little research as I was/am considering one due to the price of the ex-demo models. A couple of things I read were that interior rattles can become pretty bad (not sure how precious some people are about those sorts of things) and also some people having trouble with clutch slipping. My car is rattle free, I've read too the main cause of the rattles is the cover on the Holden Eye camera system that's mounted to the windscreen, people have taken the covers off & put something in there to stop the vibration. Another one I read is on the dash where the sensor for the climate control is. 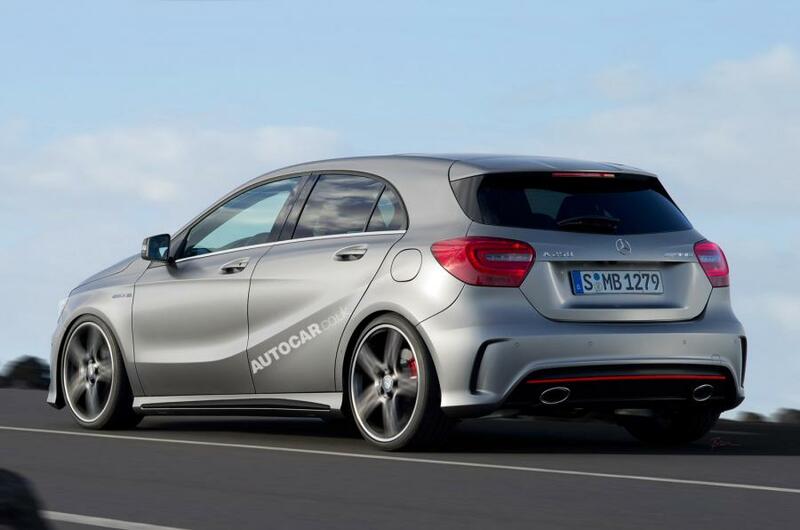 Don't let the exhaust tips turn you off, you could compare them to that horrible Chery or you could compare them to the Mercedes A Class hatch - they look the same, I know what I would be comparing them too or reminding myself of what they look like.... Besides, you could goto an exhaust shop & get them to cut off & weld round ones (like the Golf GTi if that's what you prefer) for not that much really! Yep, exactly right. Maybe it is the size rather than the shape, as I don't mind that A class. I think just 4" angle cut pipe as a tip would look great, though. Thanks for your response guys, on test drive it felt like a light, quick, highly equipped modern hatch and once it was moving it felt very familiar. I went ahead and signed the contract for a MY18.5 RS-V in summit white with Innovations Pack. Delivery date is on the 26th but the dealership will contact me if it arrives before then. This will be my first new car, and I’m very keen to take ownership of it soon! Just spent 5 weeks driving a brand new Astra hire car around the UK and found it to be a very nice car. This was a UK spec SRi model so 1.4L turbo, with auto lights, auto wipers, lane sensing, crash sensing, warning sensors everywhere, DAB+ radio ......... the list goes on. Gearbox was the 5-speed manual and was much sweeter to use than the 6-speeder in my AH SRiT! Economy wise it was great too, did 2,500 miles in it at an average of 50.5mpg - which is apparently 5.5L per 100km! ?